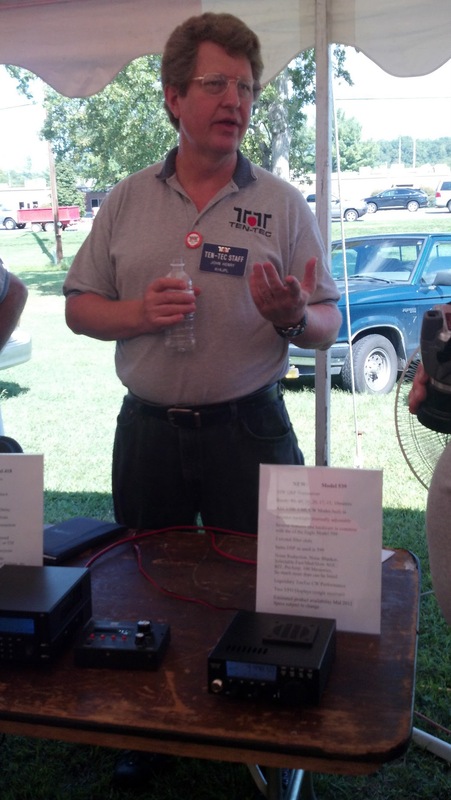 At the Ten-Tec hamfest today, I just happened to stumble upon the new, as yet un-released Ten-Tec Model 539 QRP transceiver. It’s a beautiful, simple little unit. The footprint is very similar to the Elecraft K2, while its height is slightly greater than the Yaesu FT-817. It’s very lightweight and certainly backpackable. The Ten-Tec folks I spoke with said that the current requirements may be as low as 250 mA on receive–though they’re not yet certain. When I asked John Henry (Eagle and OMNI VII firmware author) about the receiver performance, he mentioned that the receiver board is the same as the Eagle’s, and performance is likely to be somewhere between that of the Eagle and the Jupiter. There is some compromise on a receiver optimized for backpacking and QRP field ops. Nevertheless…wow. Ten-Tec hopes to take pre-orders at the 2012 Dayton Hamvention. 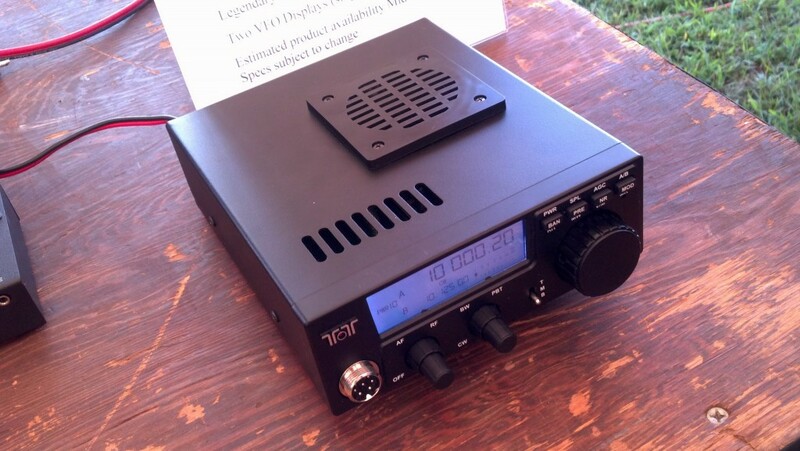 They also announced a companion 100 watt amp for the new QRP rig (see separate post). The amp, however, will work with any QRP radio on the market. I honestly believe this may be a transceiver worthy of the Argonaut lineage. Thank you, Ten-Tec; you listened. This entry was posted in Announcements, News, Portable, PSK, QRP Radios and tagged Model 539, Ten-Tec, Ten-Tec Model 539, Ten-Tec QRP. Bookmark the permalink. Where is 60 meters…. I love 60 meters. I’m close to a WAS with 10 watts SSB. I do both cw and ssb, but I hope the transmit audio on ssb is better the the Argonaut V. The 505 and 509 with only 3 watts had excellent audio quality even with a cheap mic. Sell the 539 for $499.95 and you’ll sell a bunch of them. Looks like more of Ten-Tec’s SDR garbage. And, yet ANOTHER TT rig that excludes VHF/UHF, as well as general coverage on RX. Terrible rig projet, no more thaks.. When will the 539 be available? When will additional specs be available? 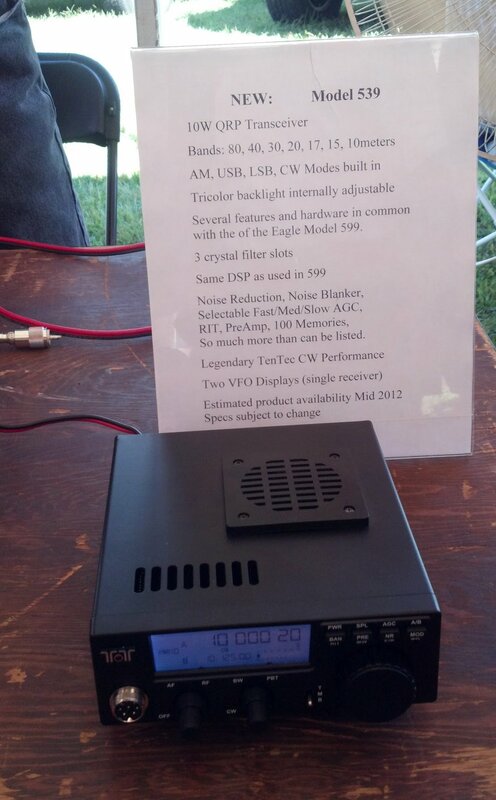 Tell me why I would want this radio over my IC-703+? When will Ten Tec put out a rig with HF/VHF/UHF? I love my FT-897d and Icom IC-9100. I would buy such a rig in a heart beat. 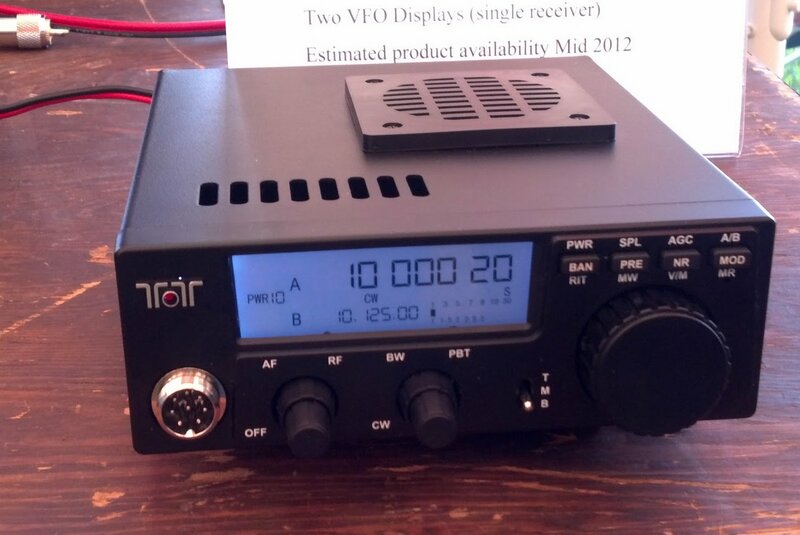 At least with “options” make the Argonaut VI model 539, HF +6M. (like Omni VII). “Considering” purchasing an Omni VII, but “would” purchase an Argonaut VI with options (HF+6m) or WOW with (HF/VHF/UHF). At lease have options for those who will spend the money to have it their way. Plaese! Promising, but again, a small format radio. Not all QRP operators love the outdoors. And no 12m? I can live without 160m and FM, but no 24MHz? Why? – Very very clean signal output. – Large and high quality casing, with large dials and buttons. – RF power adjustable from 1mW and up for serious QRPp. Or build-in tx attenuator in dB steps. – Audio Peak Filter for CW (cause it’s brilliant). – High quality roofing filters. After operating the new Argo VI side-by-side with the other TT rigs I was impressed. Unlike most though, I wish the 599 were simpler. The 599 would be wonderful if limited to the bands that are effectively used QRP. QRP operating is about more than low power. It is also about simplicity. The 599 would be more than acceptable to me if it operated on the 20/30/40 meter bands. I wouldn’t miss AM, the dual VFO display or the memories either. I will purchase a 599 and learn to live with all the “unnecessary” features that I will never use. There is just no other comparable rig available unless you buy used. I agree with Mar – no 12m no sale. 12 meters has become the favorite of many qrpers who can find and work DX without power and big antennas. To ignore 12 is to give away market share. Agreed. But when will the VI be available and what IS its spec when it appears? Was expecting to hear something public by now. Have they changed their minds on ever releasing it? I think Ten-Tec is slightly behind where they hoped they would be at this point. They have a first run of radios out Beta testing right now. They probably still have FCC testing ahead too. Though this is not verified by Ten-Tec in any way, I think they’ll have the Argonaut VI ready for shipping by the end of the year. Personally, I kind of like the fact that they’re not taking orders until they’re close to shipping. So then, there never is going to be a 539. Don’t think I can wait any longer. Tell me I’m wrong. Please! Hang in there, Dave! I think we’ll hear something very soon. Not “…well below $1,000.”, sorry to say. I have owned many Ten Tec qrp radios over the last 40+ years, but this new 539 puzzles me. WHY would Ten Tec not build an ALL band radio, including 160, 60 and 12 meters? My Elecraft K2 has ALL those bands and its performance is legendary. It would seem that if Ten Tec wants to build a competitive radio, why did they shoot themselves in the foot by leaving out these other bands? If they had to build the radio a little bit larger to accomodate those bands, then so what? I think I will probably keep my K2. The K2 is truly an all band, do it all radio with a receiver 2nd to none.